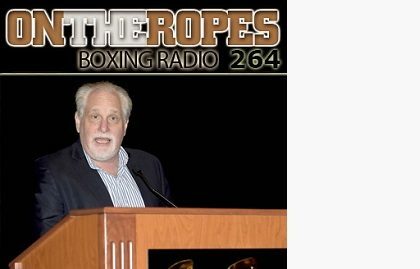 Showtime boxing analyst, Al Bernstein, has been ringside for the biggest events in boxing history, including the super fight Mayweather vs. Pacquiao and this past year’s Mayweather vs. McGregor event. Outside of Mayweather events, Showtime has a chance to make another mega event, this one in the heavyweight division if both Deontay Wilder and Anthony Joshua face each other next year, a fight Al Bernstein will likely be commentating on. 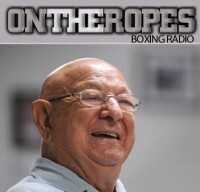 In part 2 of my “On The Ropes” boxing radio interview with Al Bernstein, I discuss with him likely bout next year between Deontay Wilder and Luis Ortiz. Al also talks about a potential super fight between Wilder and IBO heavyweight champion, Anthony Joshua. Additionally, Bernstein talks about the year boxing had in 2017 and looks forward to the big fights that will be sure to get action from betting sites. Here is what Al Bernstein had to say. Jenna J: Al, it looks as like a Deontay Wilder vs. Luis Ortiz bout will happen next year, what do you think of this fight coming back together? 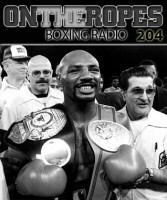 Al Bernstein: The oddity of this is that the Ortiz fight was scheduled last year and we were all excited about it, and then he tests positive, then very soon afterwards he’s allowed to fight again. The suspension is practically nonexistent. Ortiz fights, and now we are all talking about the fight again. Many people will look at that in a very suspicious way, obviously. On the other hand, you want Ortiz to be able to fight Wilder because Deontay Wilder needs opponents. Anthony Joshua is not there for him yet. Joseph Parker looks like hes going to fight Anthony Joshua in a title unification match. It would make perfect sense for Wilder to fight Ortiz and then for the winners of those two fights to fight later in the year. Jenna J: If the fight actually happens this time, do you believe that Luis Ortiz is the best opponent of Wilder’s career? Al Bernstein: That’s probably true. Ortiz is himself sometimes and underachiever but you would have to think that he would be considered the best. We don’t even know what Ortiz’ real age is, he could be an AARP member for all we know, but there’s no question that he gives up speed and size. Does he give up power? We don’t know, Ortiz can punch and Wilder has been rocked a couple of times, like any heavyweight can. But he probably would be the best one that Wilder has fought. Jenna J: If Wilder beats Ortiz and Joshua wins his fight against Parker, who would win the undisputed championship of the world between Wilder and Joshua? Al Bernstein: I probably won’t pick it because I’m probably going to end up announcing it, I hope so. I will say that the way that this is going for both fighters, it starts to feel like it’s whoever gets to who first. Although, we’ve seen Anthony Joshua in trouble and come back from it, we haven’t seen Wilder in that kind of difficulty come back. I think Wilder’s best chance in that fight is to get him out in the first three or four rounds. I believe if the fight goes on, Joshua’s strength could be an impact, but we’ll see. Joshua is probably technically a better fighter than Wilder. Wilder is quicker, has better movement, is more difficult to figure out because he’s so unorthodox and unconventional sometimes. Both fighters have certain things that they can bring into this fight as a plus. Boxing has had a great year in 2017, and heading into 2018, it’s looking like all great matches are being made for this coming year as well. The Wilder-Joshua fight would go along way toward putting boxing right back on a path it should be and it would help build on 2017, which was really special. Jenna J: Showtime already has announced some events for 2018 that they will be doing. On January 12th, Claressa Shields will be defending both her IBF and WBC belts against Tori Nelson. On January 20th, we have Errol Spence vs. Lamont Peterson. What do you think of both of those fights? Al Bernstein: Claressa Shields is carving out quite a name for herself in the pro ranks. There are a couple of fights out there for her that could be very interesting. In this one she will be facing an undefeated contender. Shields is an amazing fighter, but the depth in woman’s boxing at the higher weights is not as great as it is at the lower weights, so her issue is finding opponents that make sense and that she can shine against. She has been very dedicated about her pro career and she has a lot of fans up there in Michigan where the fight will be. Lamont Peterson is one of those fighters that fights everybody, never turns down a tough opponent, and except for the Matthysse fight — which he lost early — has never been in a dull or non competitive fight. Errol Spence is really good, we found that out against Kell Brook, that was a big test for him. Spence hadn’t fought that level of competition and he went to England and the first six rounds of the fight were dead even, great give and taken, and then Errol Spence took over the fight. 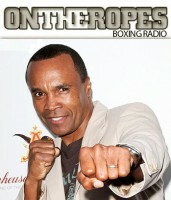 Spence is a thunderous body puncher. He’s an aggressive fighter who doesn’t get hit as much as you would think he would. Lamont Peterson is a master boxer/puncher who also likes to get into the trenches — probably more than he should — so I think it will be a very entertaining fight. Errol Spence is clearly the favorite in that fight, but I expect Lamont Peterson to make it very entertaining. 12 Responses to "Al Bernstein: “I think Deontay Wilder’s best chance against Anthony Joshua is to get him out in the first three or four rounds”"
I don’t understand this idea that Wilder needs to take Joshua out early? Where does it come from? Wilder is the one with the super human stamina, Joshua is the one with the crap stamina. Therefore, wouldn’t conventional wisdom tell you that Wilder will have the advantage the longer the fight goes on? It comes from the fact that as of yet Wilder hasn’t really faced anybody that could seriously hurt him, whilst Joshua has, thus the notion being that if the fight goes to the later stages Wilder may be in trouble simply down to the sheer amount of damage he will have taken during the fight. In comparison (and is Bernstein has said) Joshua has been in a situation where he was hurt but he still had the heart and resolve to battle through and win… we simply do not know if Wilder can do the same. Well considering how many times AJ has been knocked down in sparring, it’s a possibility. Uhmmm…did this guy just say that both fighters are technically better than each other? Hahaha, well! Juice Head AJ and his fraud promoter are ducking this fight. The have no interest in this fight. 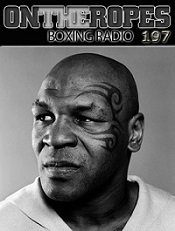 Frank Bruno 2 keeps talking about an out of the ring/out of shape Fury and unknown Parker. His fraud promoter is going to let juice heads contract run out with Showtime and then the frauds are going to jump to HBO and then hide and make excuses about TV networks and percentages. They are staying far and away from Wilder. I don’t see this fight happening. Wilder will knock this scared clown out in 3 rounds. Move on Wilder to guys who want to get in the ring with you and don’t waste your time. They don’t want that work! Maybe Al feels the longer the fight goes the more chance AJ has of landing a biggie on Wilder, and one look at his stilts suggests they’ll probably betray Deontay if he gets lit up by AJ. I definitely agree that stamina-wise, Wilder’s is proven and Joshua’s is questionable. Joshua is carrying too much excess muscle. 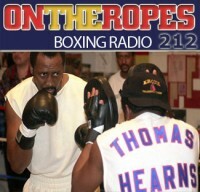 The longer the fight goes the more it will tax his cardiovascular system. Wilders best chance to KO AJ is to clip in on the chin. Whether round 1, round 12, or any of them in between. p.s. While I really do like Al Bernstien…let’s not forget he thought that McConnor guy did “exceptionally well” against Mayweather. Thus I am beginning to wonder if he is seeing things with a clear head these days, anyway. Watching McGregor on the HB its blatantly obvious he had severe limited boxing experience . Disagree, Joshua will be very cautious and patient looking for the 1-2! Breiland will instruct Wilder to mix it up by throwing quick fire jabs constantly and feint a right to see what AJ does! People are underestimating Wilder, he fights like he’s going fishing or big game hunting! Throws shots to look for big shot opportunity, so if you see a opportunity best believe he will as well! Wilders jab will dictate the fight, it’s AJ who needs to get bis man outta there before round 7, Wilder has never appeared tired and he throws lots of punches! Well there really is no right or wrong answer here . Wilder takes around 4 or 5 rounds to get his distance and has not fought ANYONE who will make his punch counts go up and wont let him coast from distance . This wont be the case for Joshua bc he is the most dangerous the first 5 rnds as weve ALL seen knocking down both Klitchko and Takam when he applies pressure . I think it really wont matter how long the fight goes other than Wilders best chance is THE PUNCHERS chance , but it depends what damage Joshua inflicts on Wilder or what work rate he makes Wilder do also pushing the bigger Joshua around or trying to keep him off him. People could use the stamina card all they want , Joshua doesnt waste punches and Wilders chin still has to take the punches he WILL be hit with early or late . Wilder is a back foot fighter so Joshua WILL be dictating pace making it that more easy for him. I would probably disagree with Berstein on this one as Wilder needs warm up rounds and Joshua does not .